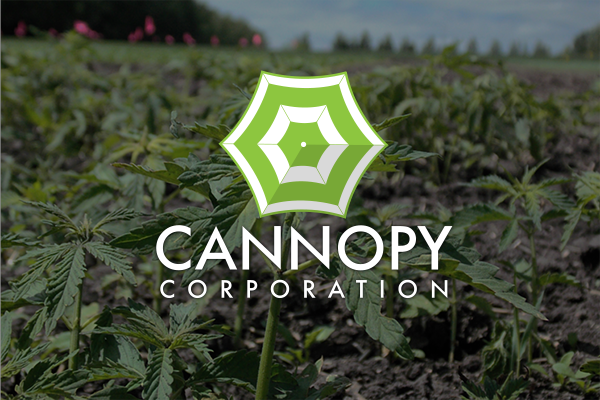 Cannopy Corporation is a biotechnology based American agricultural and manufacturing organization that specializes in industrial hemp and hemp-based products. Established in 2015, shortly after the Farm Bill repealed the previous prohibition on industrial hemp cultivation in the United States, we have made it our mission to create a nurturing environment for the study and use of plants and natural products.. Our primary objective is to lead the revival and revolution of the new American Hemp Industry and domestic hemp production within the U.S.. Hemp is a plant with limitless uses and applications in industry, and for human benefit. We strive to provide opportunities for further research and development of new products and discoveries. We are proud to be a leader in industry innovation, and unrelenting advocates for the promise these plants hold. The cornerstone of our business is the production of both uniform and unique raw materials for use by manufacturers of finished goods in a wide range of industries, such as foods, nutrition, cosmetics, and industrial products. We develop and openly share, our technology to promote the rapid expansion of the industry. Our scientific approach within all processes of our business gives us a strategic advantage within the natural products industry. The ability to consolidate and implement our technology, derived from innovative research, experimentation and observation, provides for an ever-evolving and improving model. In all aspects of our business, from seed-to-sale, we are building technology platform from which to propel the industry and movement forward. Producing high-quality botanical products with high levels of control, cleanliness, and replication is paramount to our business. We manage all aspects , seed to sale -- from cultivation and seed breeding , to the processing technology used to harvest and produce finished bulk products from the crops. The first key of our commercial expansion was understanding the dynamic environment and how that influences the biology of our crops. Our understanding and appreciation of nature leads to the success of everything that follows. The freedom to control our own supply gives us the ability to deliver a vast array of raw materials suitable for use in practically any industry, from food to nutraceuticals. All our industrial processes and systems have been custom designed with the end products in mind. For example, we have three primary levels of manufacturing compliance that are dictated by the type of end products rendered. For industrial products, only the lowest level of control is required and open air can often access the products. However, we follow strict standards. Food products manufacturing for our seed oils and hemp hearts must be done in a manner consistent with food production standards as set forth by the U.S. Department of Health and Human Services (DHHS) and the FDA. For the highest level of manufacturing compliance, we adhere to full nutraceutical cGMP practices, which are extremely meticulous with every movement of the materials or in the facilities. Ultimately, despite the setting in which the goods are produced, all our processes and process systems are custom-designed and built to suit the demanding needs of this rapidly expanding market. Our facilities support cultivation of more than 500 fully irrigated acres of commercial agricultural production. Our farms and fields are populated by seed crops produced in highly specialized controlled-environment greenhouses, cloning, transplanting, and breeding areas. In addition, , our 36-acre technology campus is home to more than 50,000 sq. ft. of industrial, food & cGMP laboratory processing facilities. Our processing capabilities are just over 120 metric tons per day of industrial materials, and more than 30 metric tons per day, cumulatively, for food and laboratory processing. Far surpassing any other industrial hemp processors currently operating within the U.S., we have made it our mission to continue our expansion across the country as we grow the industry. In addition, Cannopy Corporation has developed a marketplace for industrial hemp-based products, from seed to sale, to successfully showcase the vast array of items offered. With all elements combined, and with the assistance from other farms and regions, we can build the foundation for a new American hemp industry.